“To me it is unseemly in the 21st century that anyone would be stripped of a vote,” said Del. 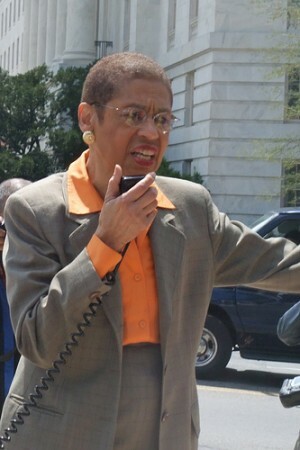 Eleanor Holmes Norton, who has represented Washington D.C. since 1991. Norton said the loss of limited voting rights was a “very bitter pill” for the people of the District, who a year ago where within sight of gaining a full vote in the House. The Senate voted to give the District a fully vested representative, but attached an amendment to weaken the District’s tough gun control laws that was unacceptable to some House Democrats. Norton sought to prevent adoption of the new rule by offering a motion to set up a special committee to study the delegate voting issue, but it was defeated on a party-line vote.